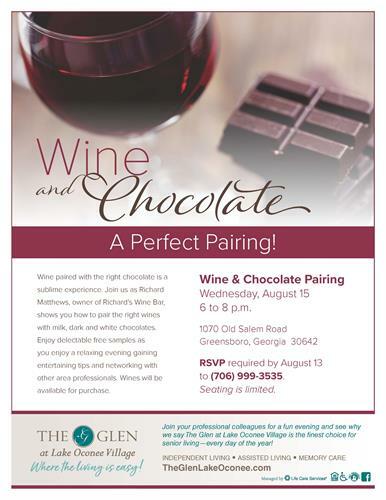 Wine paired with the right chocolate is a sublime experience. Join us as Richard Matthews, owenr of Richard's Wine Bar, shows you how to pair the right wines with milk, dark and white chocolates. Enjoy delectable free samples as you enjoy a relaxing evening gaining entertaining tips and networking with other area professionals. Wines will be available for purchase!